You, like me, are probably fully aware of the importance and advantages of a daily workout routine. We all hear from friends and acquaintances how much better their life is since they took this path. You can find dozens of articles summarizing the importance and improvements and throngs of bloggers writing about why it is so great to run. Here is one beautiful example—a short summary of 50 reasons to run. 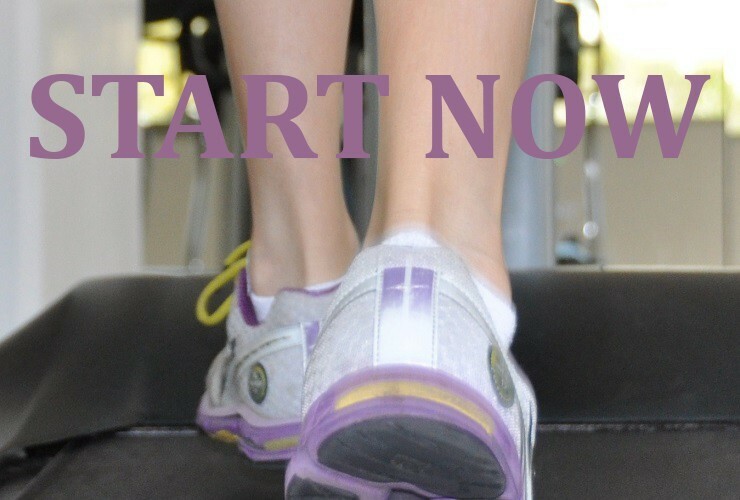 Just start…and by that I mean that you should literally make the first physical step. Put on your sports shoes, get out of the house, and do your first exercise. No plans, no long-term goals. Start with the present and the moment and the decision in your head to "get going." Little by little tiny steps – Once you are past this first step, you can proceed with a realistic and sensible training plan. If that means walking for 30 minutes 3 times a week, then great. If it means gradually adding a 5 minute run in between, even better. I have found that the most important thing at this stage is to stick to your plan regardless of how good the exercise is. Set a goal, unrelated to sport or working out, but rather a dream you have… Use sport as a means to accomplish this dream and not as a target of its own. Easy or difficult, it is a lot to do with our drive to reach a goal; it's all in our head. The link between your running target and other goals will keep your motivation burning and help you find the determination you are looking for. You'd be surprised how often running becomes the easier objective compared to any other ambitions you may have. Once you have set up a weekly routine, it may be time to ask yourself what works better for you: walking, short-distance jogging, , or pushing harder to improve your jogging skills and stamina. If running is your goal, you should acknowledge that it will generally take you 10-16 weeks to run 5K without stopping. You may want to do some further research about building a steady running plan. Here is one example of many you can find online. 1. Health: running reduces the risk of strokes, coronary heart disease, high blood pressure, high levels of LDL (bad) cholesterol and triglycerides (fats in your blood), and even eye disease. It has been proved that running can even protect from cancer. Studies showed that those who run or do exercise of a similar intensity for 30 minutes a day are the most protected, exhibiting: "a 50 percent reduction in the risk of dying prematurely from cancer," as well as a 50 percent reduction in the risk of dying prematurely from other causes in contrast to those who don't exercise. 2. Body shape: running alone will not necessarily reduce your body fat. This also requires a suitable diet and some additional power exercises. However, running does result in improved muscle tone, firmer skin and fewer wrinkles, higher energy levels, improved athletic speed and performance, and, more importantly, better vascular function and overall stamina as a byproduct of your ability to exercise longer and stronger. 3. Emotional and mental wellbeing: studies have shown that running, which stimulates the feel-good chemicals in the brain, reduces stress and anxiety, boosts spirits and helps you sleep better. In addition, scientists have discovered that running improves memory, thinking and learning skills. 4. Self-esteem: running redefines your belief in yourself, creates a sense of achievement, and improves your confidence, sense of perseverance and ability to plan and achieve long-term goals. Running is a convenient and accessible sport that can be practiced anywhere and anytime. All you need is a pair of running shoes and comfortable running clothes. You can run on a daily or weekly basis according to what most suits you. The short-term benefits of running include mood enhancement and the quality of life that comes from being a regular exerciser, but the longer-term outcomes, while hard to itemize and demanding endurance, are of even more importance.